Aaron Young is a good man. But even good men can be put to the test. Just when it seems his life can’t get more complicated, it does. Pressures with his job are reaching the breaking point, one daughter is struggling to find herself, and another has found a fiancé — complete with future in-laws who are anything but supportive. To top it all off, Aaron has been called to be the bishop of his ward. At this pivotal point in his life, Aaron wonders if anything he does helps the people closest to him. A warm and deeply moving film about the choices and complications of everyday life, One Good Man is the story of an unsung hero trying to do the right thing, regardless of the consequences. First, a simple plea: Ignore the one-star reviews you see below; their comments are simply bizarre to me. This movie is just one of the greats of LDS cinema. It is smart, funny, delightful, and so worth your time. It is one I love to re-watch and enjoy over again. In case DeseretBook.com chooses not to show my real name and instead merely shows a handle or screen name, I want to put my real name here -- Glen M. Danielsen. No masks online, you guys! As another reviewer stated, the most redeeming aspect of this movie was that it was a clean movie. The premise is inspiring-- bringing to light the goodness of a simple, righteous life. It's just that the execution wasn't inspiring. The movie highlighted the reality that there are lives that move along at a fairly even pace with not much fanfare or crisis. Unfortunately, that translated to watching something that didn't draw you in or produce much emotion. My husband and I struggled to watch the movie to the end and we never watched it again. It was eventually donated. I yearn to give this gem of a movie ten stars. From beginning scenes to the ending scenes, it simply delights. It is so dang well done--funny, great editing, moving, REAL. No pretense, no bad acting. The casting was fabulous. 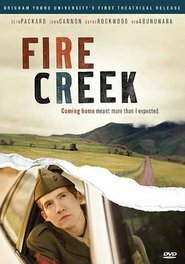 Great movie that does a pretty good job catching some of the joys and challenges of being an LDS bishop and also the ups and the downs of Mormon families. 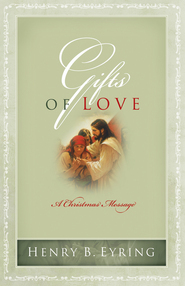 It really helped us to resolve to do better with our family, callings, life, etc. What a great example to follow! I was looking foward to watching this movie, but was really disappointed. The story line was okay, but the characters were very flat and the acting was almost painful to watch. This movie really missed the mark for me and my family and we stopped watching halfway through. This was a very sweet and touching film: A great tribute to good men and fathers everywhere. The characters and situations were very relateable to me. I’ve had similar things happen to me, my family or friends and it made me feel for the family in the movie. This is another great movie made by the same man who did Errand of Angels which I also love. I've read the other reviews. If green leaves in winter, less-than A-list acting, or inconsistencies such as a Stake President meeting with a prospective bishop without inviting the wife to accompany him would cause you to dismiss a movie as beneath your standards, then don't watch this one. But if you are looking for an authentic, sympathetic portrayal of LDS family life that will uplift and move you, then this is a must-see film. My husband was serving as bishop when we saw this and we laughed and cried and nodded knowingly. Absolutely delightful. I couldn't agree more... THIS MOVIE WAS FANTASTIC! I don't expect much from LDS movies anymore, but this one was fab! If only there were more movies like this one, I'd never have to watch non-lds movies ever again! Watched it for the first time last night, was very impressed. Watching the character of Aaron, makes me think about what kind of father I want to be. Not perfect, but just wanting to do the right thing, and the love he had for those around him...wow! 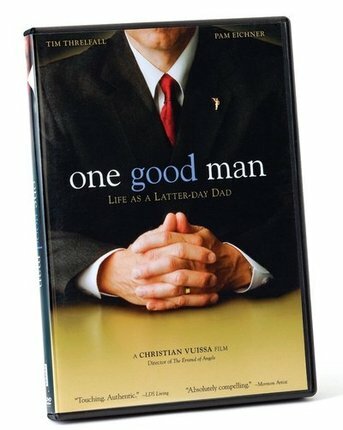 Great DVD about a bishop and all the demands and sacrifices required for a man who does not receive pay for his position. Storyline was smooth and thought provoking. Good humor. I like Mormon cinema, but it genuinely frightens me for Mormon culture that so many could review this movie positively. It was terrible in every way. Re-watch Forever Strong, God's Army, Errand of Angels, The RM...anything to avoid watching this. And if you must watch, borrow a copy (one shouldn't be hard to come by) rather than waste your money. Unfortunately, I already threw my copy out or you could have it. The characters in this story touched my heart. It is a movie worth sharing. The fact is, I had some interest in seeing this film. Excel has put out a lot of films, none of them generating much interest. Contrary to most other such films, the storyline for this film intrigued me, since our daughter was recently married and I had recently been called. Well, we watched it for Family Night a couple of weeks ago. I really wanted to like this film. Other than good photography and music, however, it was not much of a grabber. My kids weren't as kind in their comments. My recently returned missionary son thought it was horrible. My next to go son said it stunk. Even my sweet wife said it was too forced. They all begged me to pull it out after fifteen minutes. Sorry, but this was One Mediocre Movie. My family and I watched it...it opened our eyes to the challenges our own bishop must surely face. Six thumbs up for this film! I think this is one of my top 5 movies of all time!! I could definitely relate!! And the sound track is beautiful!! I highly recommend this movie!! I agree with several of the other reviews. 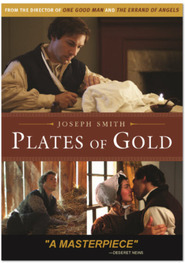 It seemed authentic, touching, a better sense of the LDS lifestyle. The acting was good. It was lighthearted but we got teary eyed a few times. i highly recommend it. I only gave 4 stars because there was a little dry period there but really one of the best LDS movies I've seen. The whole family could watch it. i saw that film, last night and i loved it! the movie personally made a major impact on my life! I thought the bishop's acting was convincing, but his family members were a bit light weight. The "Mormon" scenes were well done, but I can't imagine a bishop being dumb enough to go to the bar as a proseletyzing ploy. His wedding decision was a good one. I was disappointed that the job situation was left unresolved. I had hoped he would have stamina enough to resign and find a place in the new company for the man he laid off. Perhaps the writers thought that would be too fairytale-like. We loved this movie. You could really feel what he was going through, and it really helped to make life's problems seem a bit smaller. A story of a man trying to do what is right while feeling like the world is falling in on him at every turn. It is a great example of how to handle all the adversity life throws at us.